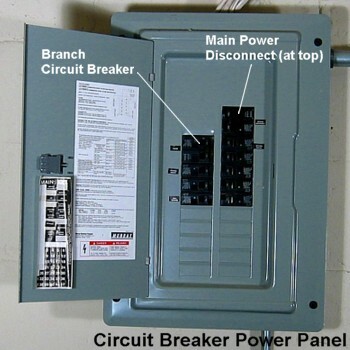 Tripped Circuit Breakers | Nor Cal Realty, Inc. The electrical service panel can usually be found in the basement, garage, a closet, or utility area. The tripped breaker will not be fully in the "On" position but rather in the "Off" position or somewhere in between. To make visual identification easier, some breakers show red by the handle when tripped. Resetting the breaker is easy. To reset the breaker, just push the lever all the way to the "Off" position and then back fully to the "On" position. You will hear it click as it snaps into the "On" position. Please call us if the breaker continues trip as we will need to determine the reason for the overcurrent condition so that the root cause of the problem can be corrected.